In the past, the city of Lapu-Lapu is known as the place where local chieftain—the city’s namesake, Lapu-Lapu—defeated and killed Portuguese explorer Ferdinand Magellan, putting on hold Spain’s ambition to colonize the Philippine islands for another 40 or so years. Today, the city is known for quite different reasons. Although much of the natural beauty of Mactan Island, where Lapu-Lapu City is located, has been retained over the centuries, it looks that the place is looking very optimistically into the future. Lamudi Philippines has put together five reasons why Lapu-Lapu City is the next business and tourism hotspot in Cebu Province and the Central Visayas Region, and the exciting future that awaits the city. For years the Mactan-Cebu International Airport, which is under the jurisdiction of Lapu-Lapu City, has been Central Visayas’ gateway to the rest of the Philippines. However, this airport, which handled 7.78 million passengers in 2015, is also fast becoming Cebu’s gateway to the rest of the world. Regular scheduled flights operate from the Mactan airport to other major cities in Asia, such as Kuala Lumpur, Hong Kong, Singapore, Seoul, and Dubai. But just recently flag carrier Philippine Airlines has started operating daily nonstop flights from the airport to Los Angeles, a testament to Lapu-Lapu City’s—and indeed the rest of Cebu Province’s—position as a favorite Philippine destination by foreign visitors. To keep up with increasing passenger number, the Mactan airport is currently undergoing a major upgrade. Construction of the airport’s Terminal 2 is on track for a June 2018 delivery, according to GMR-Megawide Cebu Airport Corp. in an article published in SunStar Cebu. The new terminal will serve all the airport’s international flights and will have an area of about 45,000 sqm, which can be expanded further in a succeeding development phase. The old terminal, meanwhile, is currently being refurbished and will eventually handle all domestic flights. An article published in The Freeman cited data from the Department of Tourism (DOT), which showed that tourist arrivals in Central Visayas reached 3.5 million for the first 10 months of 2015. According to the DOT, Cebu Province as a whole accounted for 64% and 84% of total domestic and foreign arrivals, respectively, to Central Visayas. This amounts to approximately 2.5 million tourists during the 10-month period. In addition, Lapu-Lapu City lodged majority of foreign tourists to the province, while Cebu City registered most of local visitors. So what makes Lapu-Lapu City popular to tourists? According to Hembler Mendoza, the city’s chief tourism officer, aside from an international airport, Lapu-Lapu City is also home to at least 11 marine sanctuaries, bird and other wildlife sanctuaries, white-sand beaches, high-end hotels and resorts, and world-class dive sites. The city also offers leisure attractions not found in other parts of Cebu Province, such as sunrise tours aboard a yacht and flight adventures, not to mention that there are 79 hospitality establishments in the city (and one on Olango Island) offering approximately 5,000 room inventories. Lapu-Lapu is also the only highly urbanized city in Cebu Province whose competitiveness ranking has improved, according to the National Competitiveness Council (NCC). From the 23rd place in 2015, Lapu-Lapu City moved up to the 21st spot among all highly urbanized cities in the Philippines, while its overall ranking when all Philippine cities are considered surged to 39th in 2016 from the 70th position in 2015. According to the NCC, the categories in which Lapu-Lapu City excels include presence of investment promotions unit, availability of utilities, and compliance to national directives to LGUs. Where else in Cebu Province will you find a diverse range of businesses, where BPO offices sit close to high-end hotels and beach resorts? Lapu-Lapu City offers these. In fact, the city government reported in 2015 that the number of business establishments in the city surged to approximately 12,000 in 2014, compared to about 7,000 logged in 2010, according to a report published in The Freeman. Aside from the Mactan airport, road travel within Lapu-Lapu City and the whole Mactan Island is quick and easy. Major thoroughfares encircle the entire periphery of island, while it is also connected to Mandaue in mainland Cebu via two bridges: Osmeña Bridge and Marcelo Fernan Bridge. And to ease traffic congestion on these two bridges, especially during rush hour, a third bridge is now being proposed, this time will connect the town of Cordova south of Lapu-Lapu City to Cebu City on the mainland. The city is also much less prone to flooding during the monsoon season compared to Cebu and Mandaue. In fact, heavy rains brought about Habagat (southwest monsoon) in July of this year caused major floods of up to two feet in Cebu City’s busiest areas, but Lapu-Lapu City was virtually unaffected. Data from Lamudi Philippines shows that Lapu-Lapu City is one of the most searched locations for properties in the Central Visayas region (and second to Cebu City, which has more inventory and higher population base). But what’s noteworthy is that combined search volumes for houses and condos (both for sale and for rent) for Lapu-Lapu City increased 21 percent from the first quarter to the second quarter of 2016. In addition, looking at compound average growth rate (CAGR) using search data from the first six months of 2016, condos for sale and condos for rent have the highest growth rate in search volume, at 9.69% and 10.91%, respectively. Indeed, Lapu-Lapu is a city that while deeply rooted to its past is looking positively into the future. Its population grew an average 2.94% from 2010 to 2015, according to data from the Philippine Statistical Authority, and now stands at 408,112, according to the 2015 Census. This growth may in part be attributed to the city’s remarkable economic performance. Over the next few years, the city will see the opening of BPO offices, mixed-use townships, and resort-oriented developments, which will bring in more employment opportunities to the citizens of Lapu-Lapu City. And these developments are even more visible in the city’s Punta Engaño section and neighboring areas, a peninsula jutting out from Mactan Island’s northeastern corner. This area is where many of the city’s most upscale resorts and developments are located, including Discovery Bay Resorts and Residences, Shangri-La’s Mactan Resort and Spa, Mövenpick Hotel, and Megaworld Corporation’s Mactan Newtown. These new developments are perhaps one reason why many consider relocating to Lapu-Lapu City, as shown by data from Lamudi for the first six months of 2016. Most of searches for Lapu-Lapu properties are not coming from Lapu-Lapu itself, but from other places. Data from Lamudi shows that 35% of search volume for Lapu-Lapu properties originated from neighboring Cebu City, while 8.2% and 5.5% of searches came from Quezon City and Makati, respectively. In addition, and although still small, 1.24%, 1.02%, and 0.88% of the total search volume for Lapu-Lapu City originated from online property-hunters based in Dubai, Singapore, and Sydney, respectively. 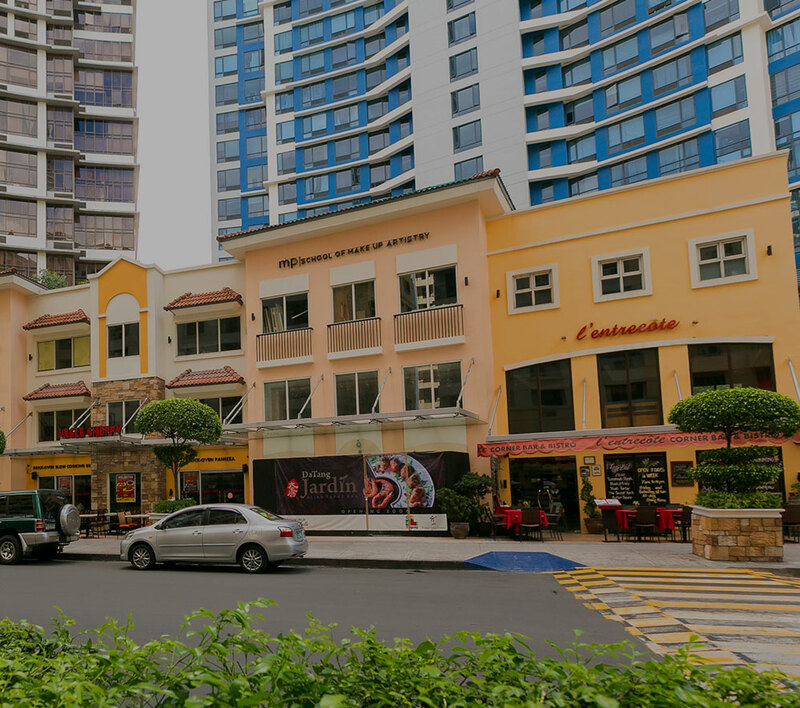 This shows that real estate in Lapu-Lapu, particularly houses and condos, are becoming popular not only among Cebu-based property-hunters but also among those based in Metro Manila and in other countries. Whether this will continue into the future remains to be seen, but highly likely given how progressive Lapu-Lapu City is becoming.